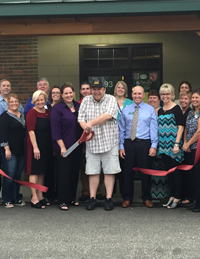 Joining the Ellsworth Area Chamber of Commerce provides you with a variety of benefits. For example, did you know that when consumers are aware that a small business is a member of the chamber of commerce, they are 49% more likely to think favorably of it and 80% more likely to purchase goods or services from the company in the future? A national study by The Schapiro Group, an Atlanta-based market research firm, reveals a number of important findings about how consumers and business owners perceive the local Chamber of Commerce and the businesses that are their members. The study, commissioned by the American Chamber of Commerce Executives with support from the Small Business Network, Inc., is designed to determine the real value to companies in terms of consumer outcomes of joining and being active in their local Chamber of Commerce. If a company shows that it is highly involved in its local chamber (e.g., is a chamber board member), consumers are 10% more likely to think that its products stack up better against its competition. When consumers know that a national restaurant franchise is a member of the chamber of commerce, they are 68% more likely to eat at the franchise in the next few months. The results are clear: Positive perception increases among consumers and business owners when a business is identified as a member of the Chamber of Commerce. To learn more about this important study, see the final report here. 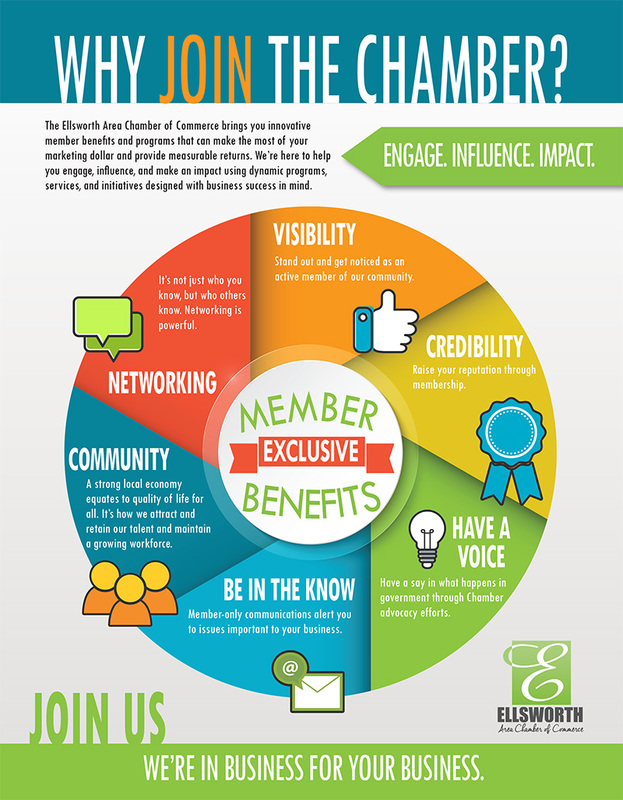 In addition, you can see the chamber benefits our members find most valuable by clicking on the info-graphic to the right.